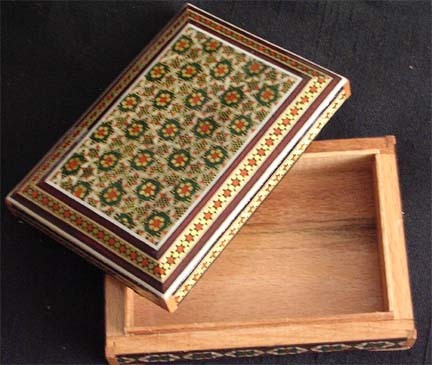 This box is designed to hold standard-sized business cards. 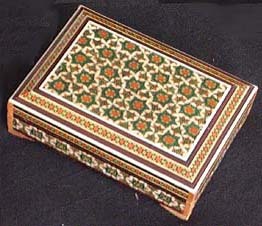 It features a khatam karee inlay and varnished wood on the inside. It would be an excellent new job or graduation gift.